Omnni SSAS has been used as pension solution for Small Self Administered Schemes since 1995 incorporating the needs of any SSAS provider. Omni SIPP has been used as a pension solution for Self Invested Personal Pensions since 2000 incorporating the needs of bespoke SIPP providers. A fully RTI compliant solution built to work with the all of the existing Omni products. The Payroll solution itself can upload all tax codes from HMRC and will calculate the split between net pension and tax. Using this payroll information, it is then capable of sending Full Payment Submissions (and Employer Alignment Submission and Employer Payment Summary) to HMRC. The latest addition to the Omni range of products, Webview allows both advisers and members online access to details of their schemes. This product enables extensive tracking and recording of all types of work across all members of staff. An invaluable management tool, by setting timescales, it allows both individual members of staff and senior management to identify any areas where targets are being missed. 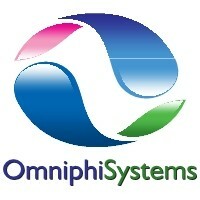 This Omni product features just the calculation aspects of the full SSAS/SIPP systems. This allows firms to continue to use their current pension software but take advantage of our comprehensive suite of pension calculation modules.